A&B are partners in a business and their capital on 31stmarch2016 were rs.700000 and rs.600000 respectively.Calculate the IOC @10%p.a. following information are A. Drawing of A&B for the year were rs.75000 and rs.50000 respectively. B.B introduced capital of rs.100000 during the year. C.Interest on capital credited to the capital a/c A rs.15000 and B rs.10000. D.Interest on drawing debited to the capital a/c of A rs.7500 and rs.5000 respectively. E.share of loss debited to capital a/c was rs.20000 each. 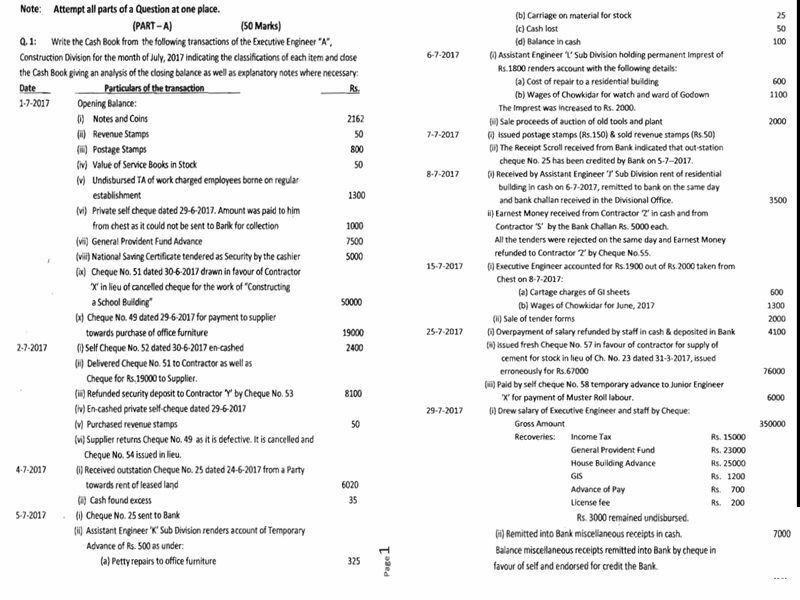 Please provide solution for enclosed cash book question. How to prepare adjustment table in que 63 in mita'capital and usha's capital .in cr and dr form according to example given in ts Grewal . Mita'capital usha's capita firm Dr. Cr. Dr. Cr.